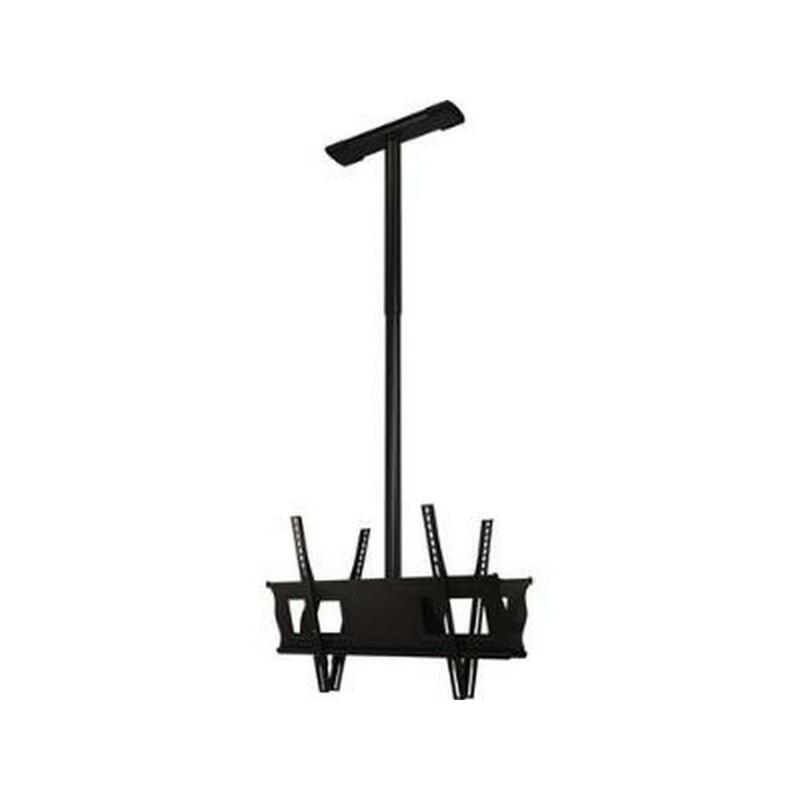 Includes mount hardware and 1.5" thread connector for attaching to E or EA 1.5" threaded columns. 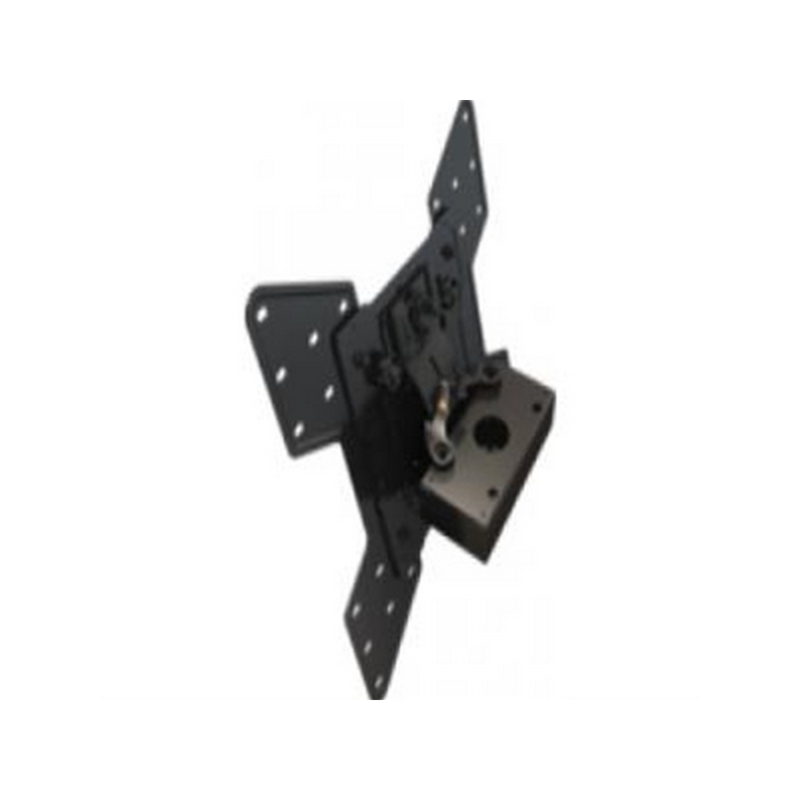 Mounting interface is VESA from 100x100mm through 200x200mm. 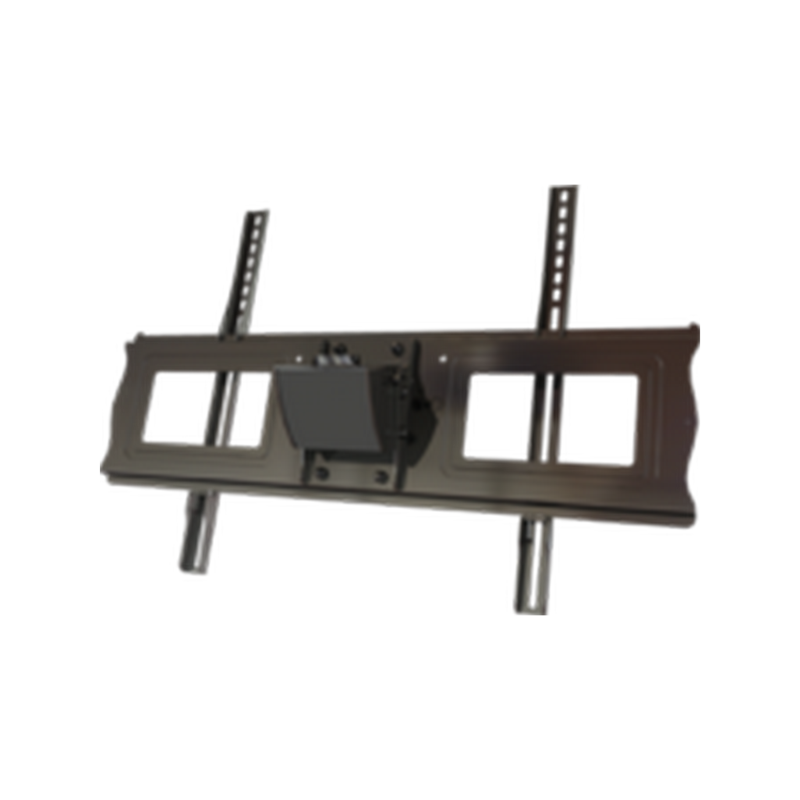 Optional AD400 adapter extends mounting pattern through 400x400mm. 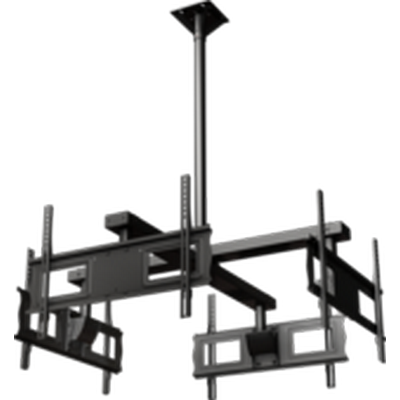 Combine with Crimson E-series fixed extensions or EA-series adjustable extensions and CA ceiling adapters to complete the solution. 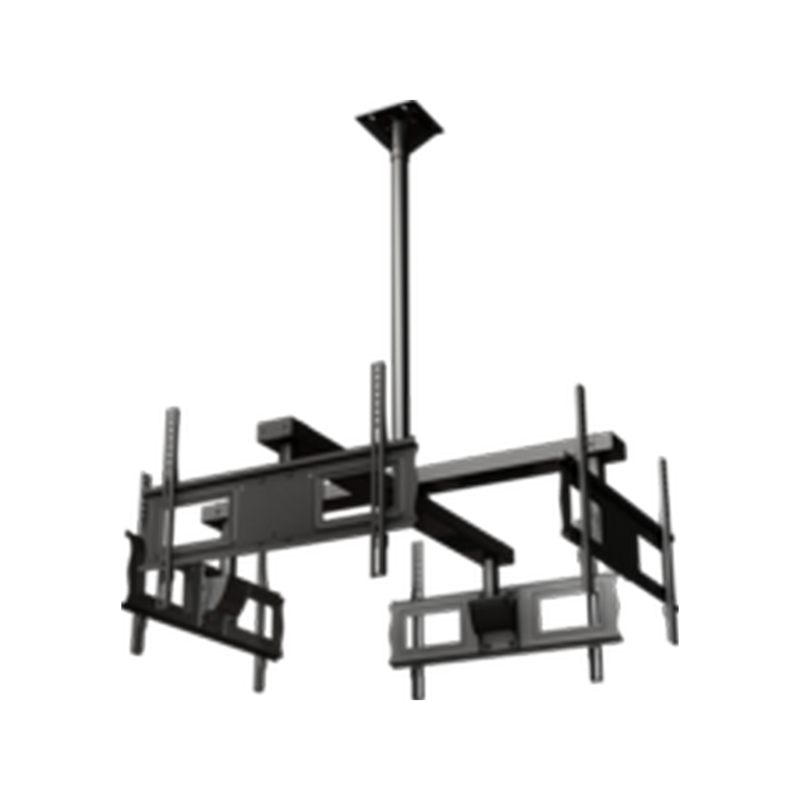 Perfect for digital signage, dentist offices or medical centers. 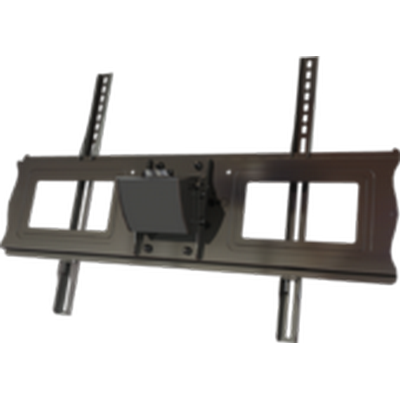 A complete hardware kit for mounting 4 displays from the ceiling. Includes all hardware required for installation (with exception of ceiling bolts). 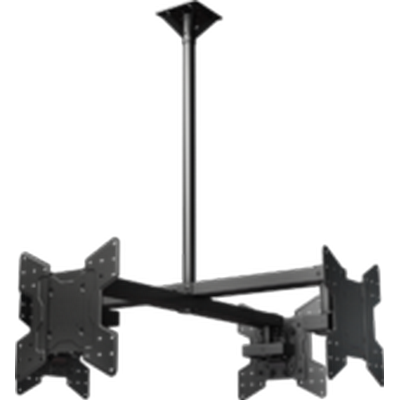 Comes complete with a 10' pipe drop and a heavy duty ceiling adapter for structural or Unistrut mounting. 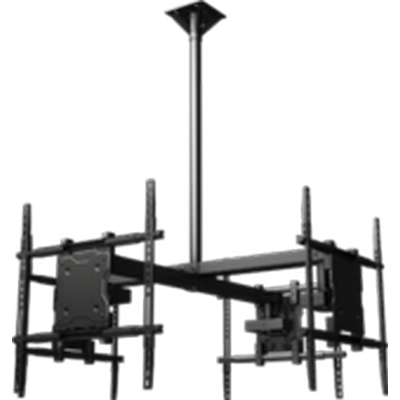 Features through-column cord management and lockable rotation of entire system or individual screens post installation. 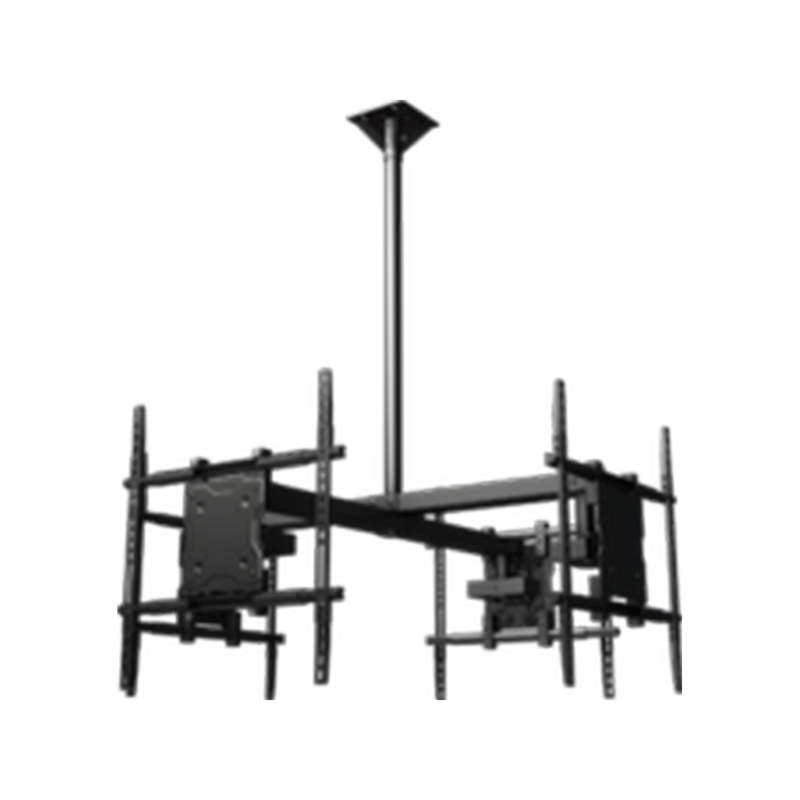 Attaches to standard 1.5" threaded extension columns. 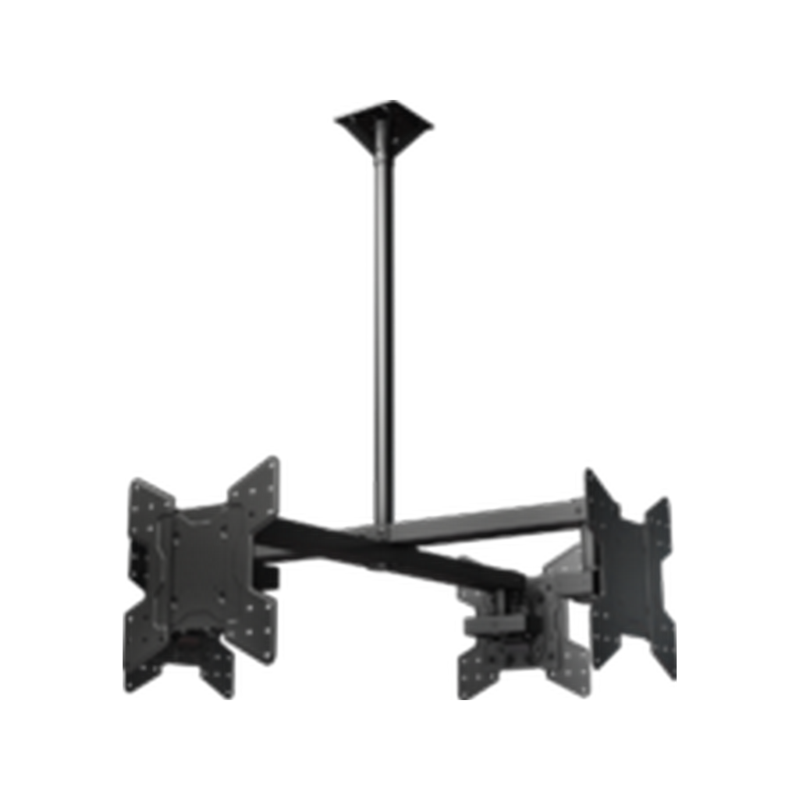 Can be used as retrofit on existing columns or combine with Crimson E-series fixed extensions or EA-series adjustable extensions and Crimson CA8HD ceiling adapter to complete the solution. Compatible with all 1.5" NPT threaded pipe. Attaches to standard 1.5" threaded extension columns. 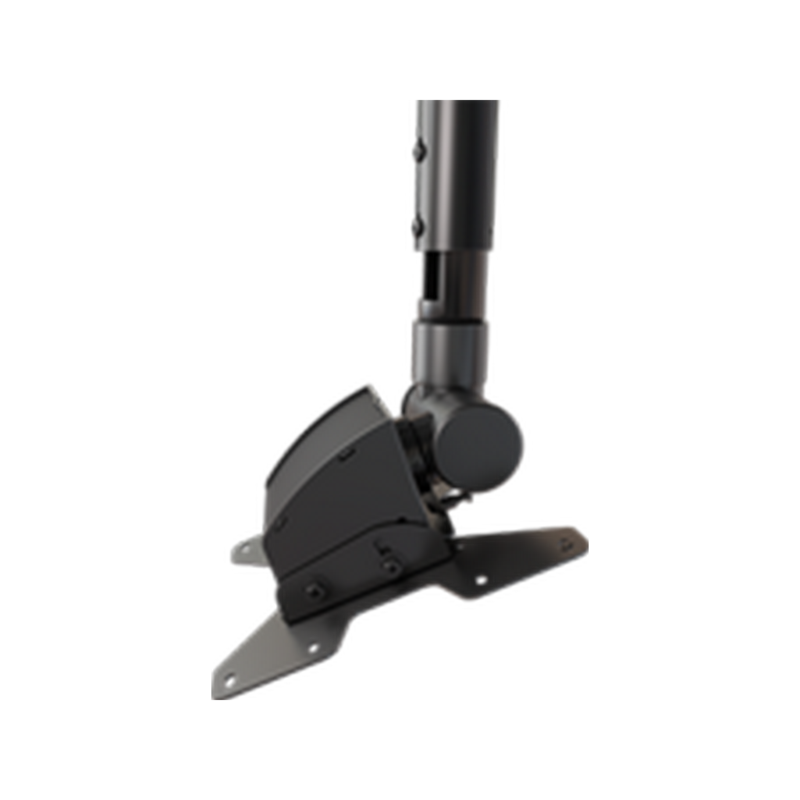 Can be used as retrofit on existing columns or combine with Crimson E-series fixed extensions or EA-series adjustable extensions and CA ceiling adapters to complete the solution. 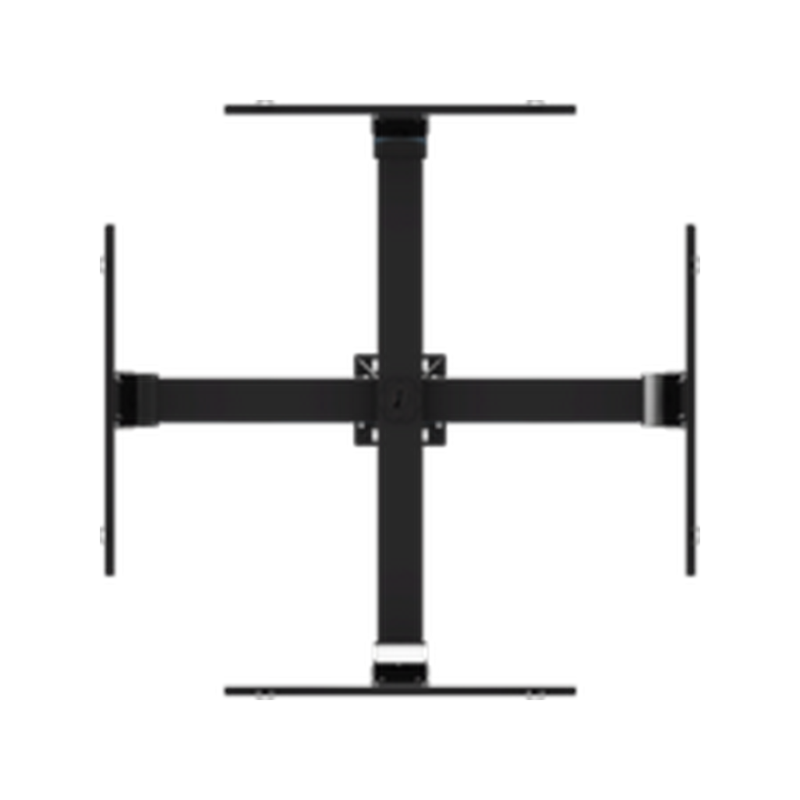 Continuous tilt of 15° forward with 360° rotation. 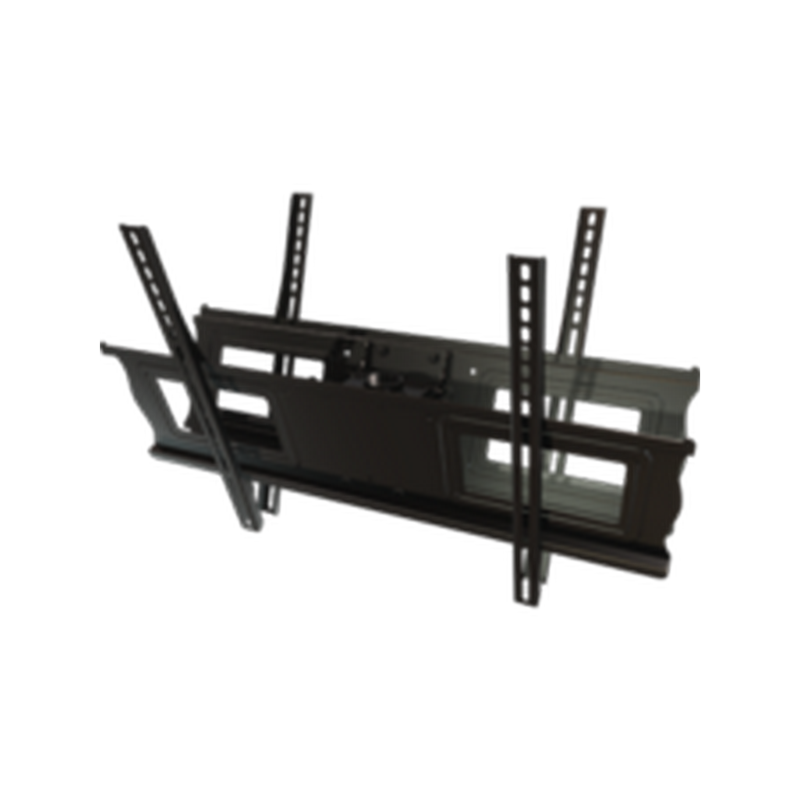 Makes a secure screen installation quick and easy, simply hang the screen and turn the pre-assembled securing screw to lock the universal adapter in place. 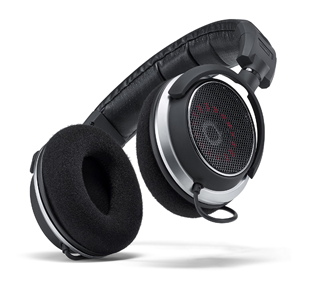 Compatible with all 1.5" NPT threaded pipe. 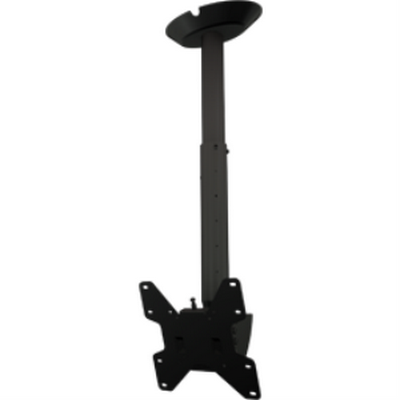 Includes universal screen adapter, 3'-5' adjustable extension column (EA35) and structural ceiling adapter (CA2) for mounting on 16" joist centers. Continuous tilt of 20° forward, 360° rotation. Pin-locking pre-set tilt positions at 5º, 10º, 15º and 20º. 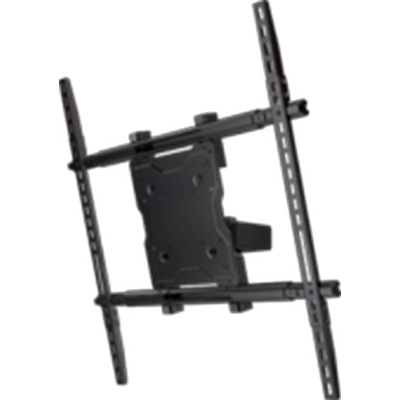 Incremental drop lengths provide perfect screen positioning. 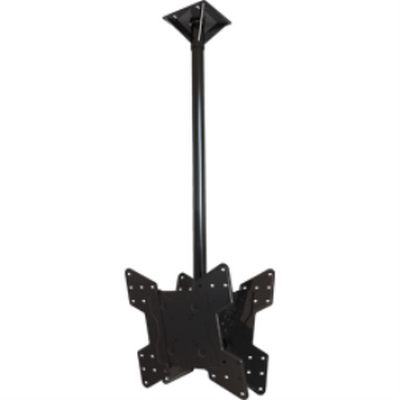 Includes universal screen adapter, 3' fixed extension column (E3) and structural ceiling adapter (CA2) for mounting on 16" joist centers. Continuous tilt of 20° forward and 360° rotation. 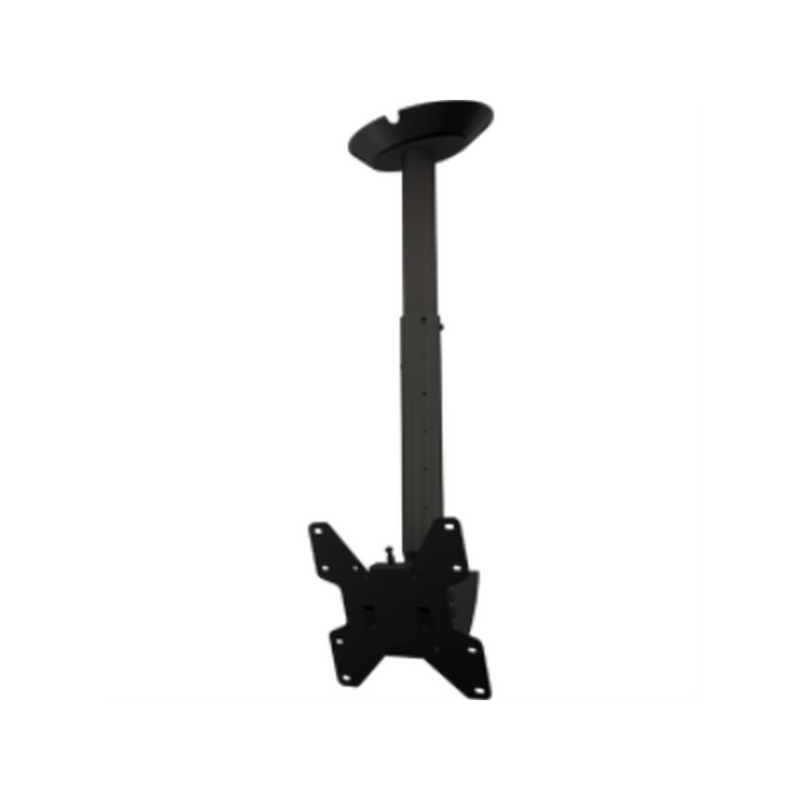 Attaches to standard 1.5" threaded extension columns. 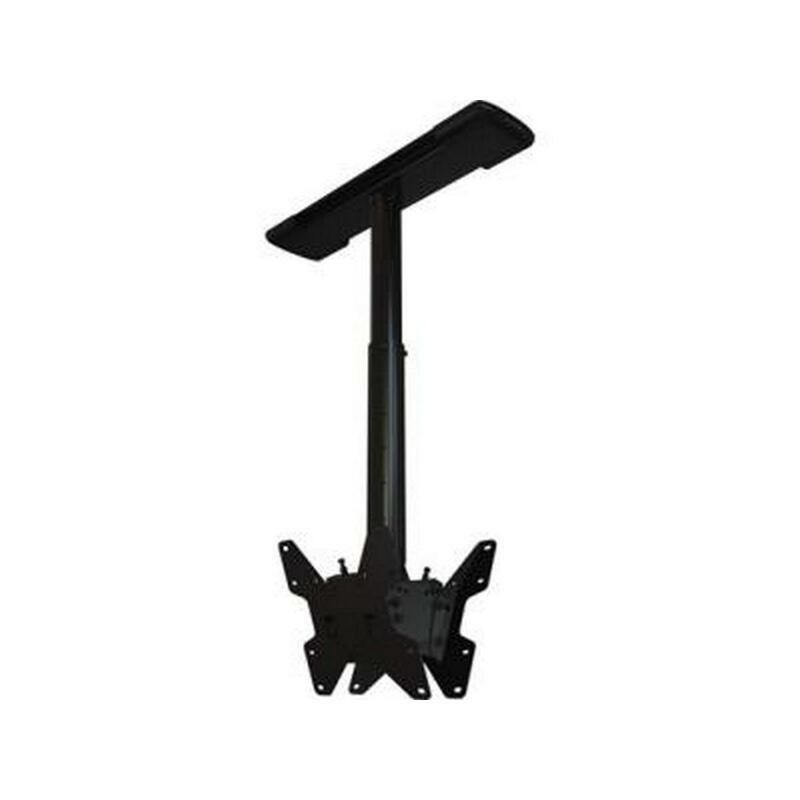 Can be used as retrofit on existing columns or combine with Crimson E-series fixed extensions or EA-series adjustable extensions and CA ceiling adapters to complete the solution. 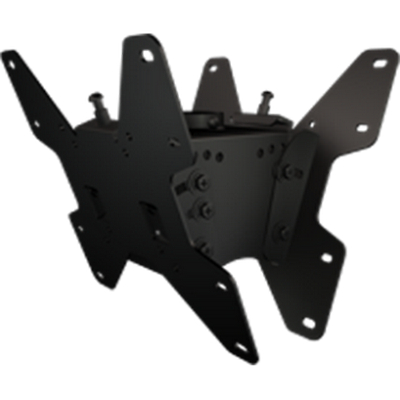 Continuous tilt of 20° forward with 360° rotation. Pin-locking pre-set tilt positions at 5º, 10º, 15º and 20º. 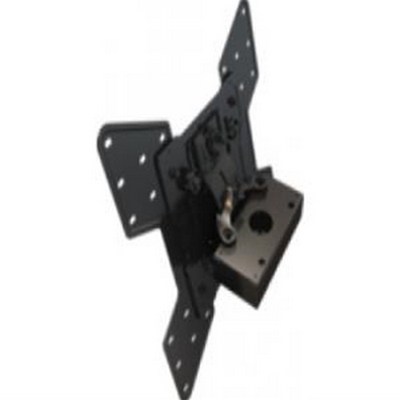 Makes a secure screen installation quick and easy, simply hang the screen and turn the pre-assembled securing screw to lock the universal adapter in place. Compatible with all 1.5" NPT threaded pipe. 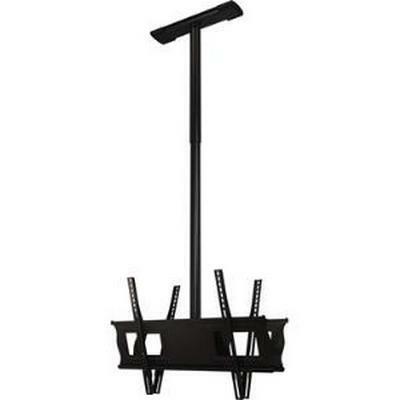 Attaches to standard 1.5" threaded extension columns. 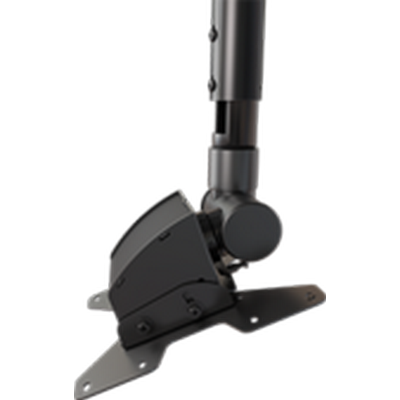 Can be used as retrofit on existing columns or combine with Crimson E-series fixed extensions or EA-series adjustable extensions and CA ceiling adapters to complete the solution. 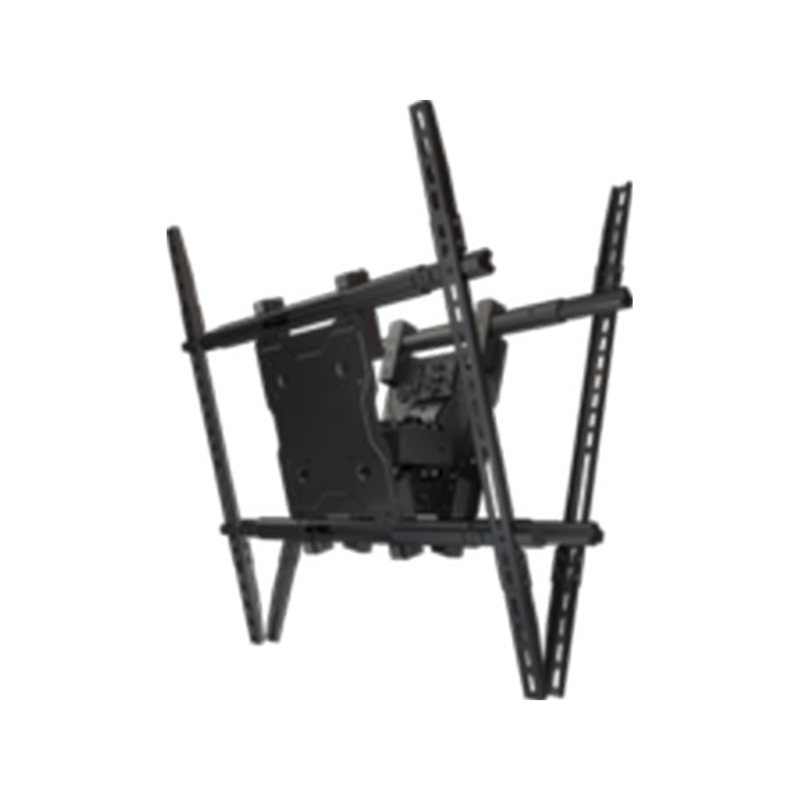 Continuous tilt of 15° forward and 5° back with 360° rotation. 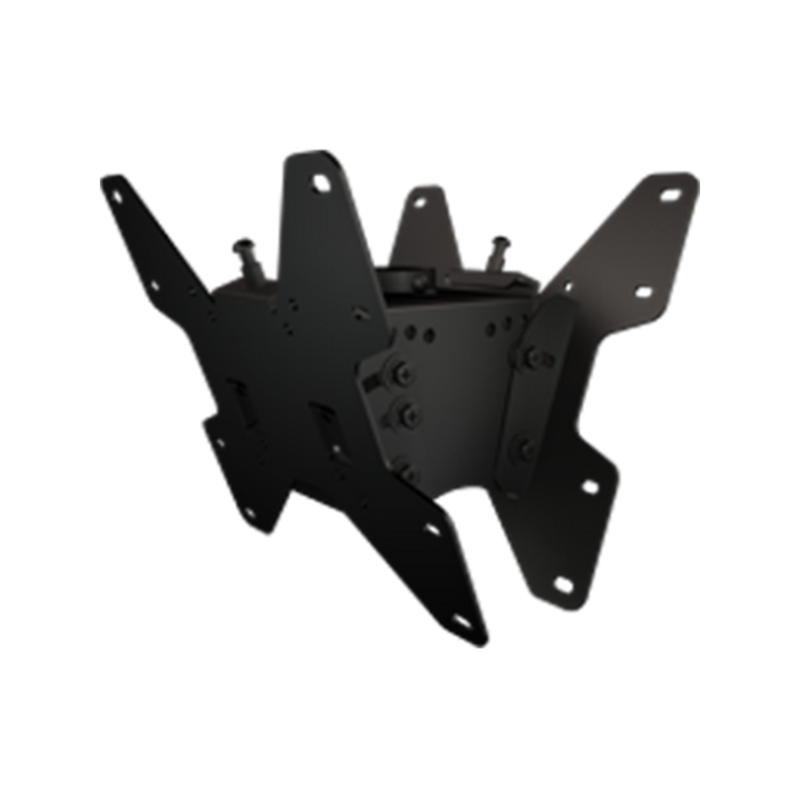 Makes a secure screen installation quick and easy, simply hang the screen and turn the pre-assembled securing screw to lock the universal adapter in place. Compatible with all 1.5" NPT threaded pipe. 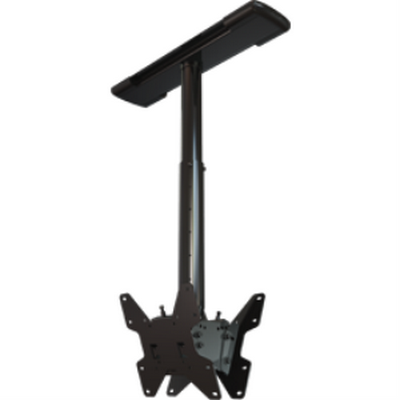 Includes VESA screen adapter, 3'-5' adjustable extension column (EA35) and structural ceiling adapter (CA2) for mounting on 16" joist centers. Continuous tilt of 20° forward, 360° rotation. 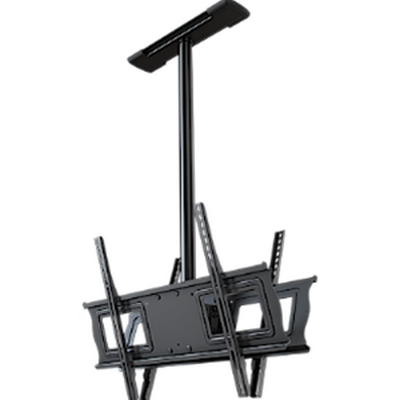 Incremental drop lengths provide perfect screen positioning. 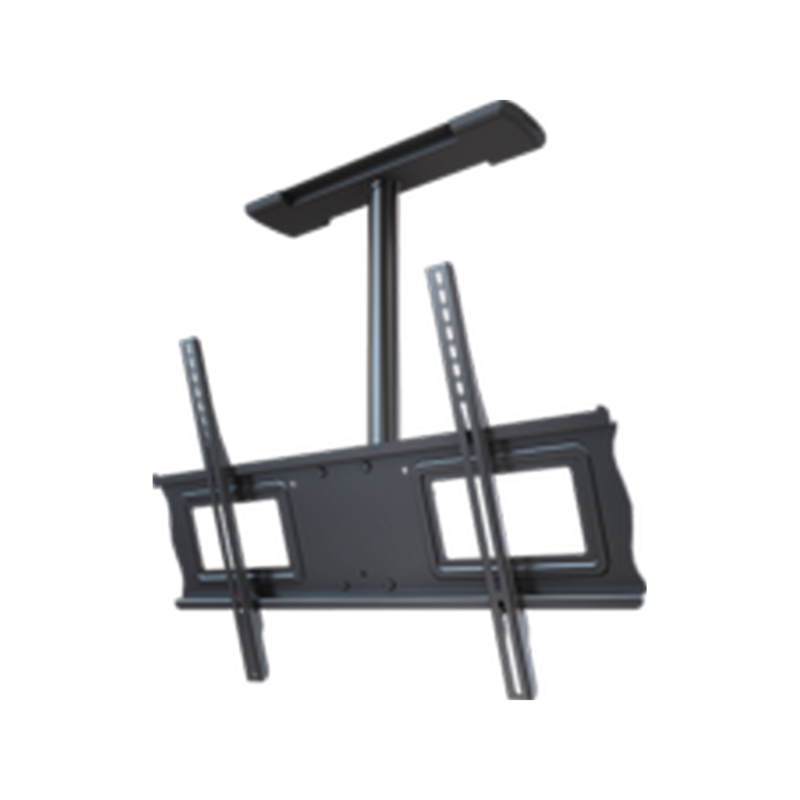 Includes VESA screen adapter, 2'-3' adjustable extension column (EA23) and structural ceiling adapter (CA2) for mounting on 16" joist centers. Continuous tilt of 20° forward, 360° rotation. 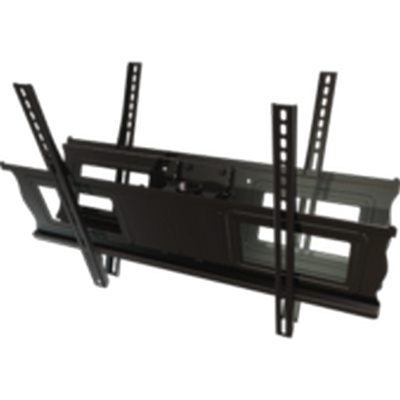 Incremental drop lengths provide perfect screen positioning. 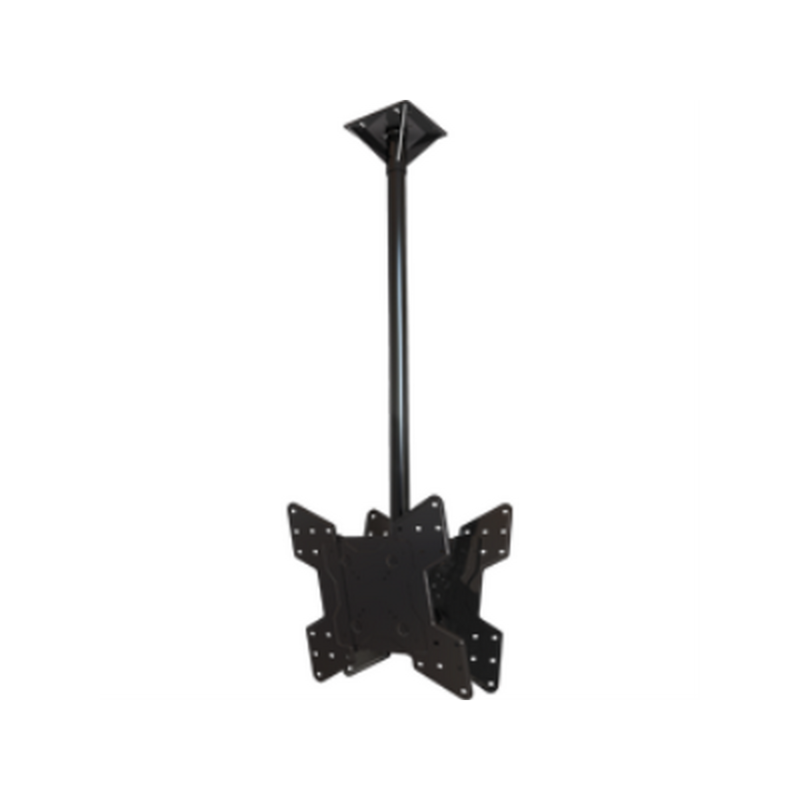 Attaches to standard 1.5" threaded extension columns. 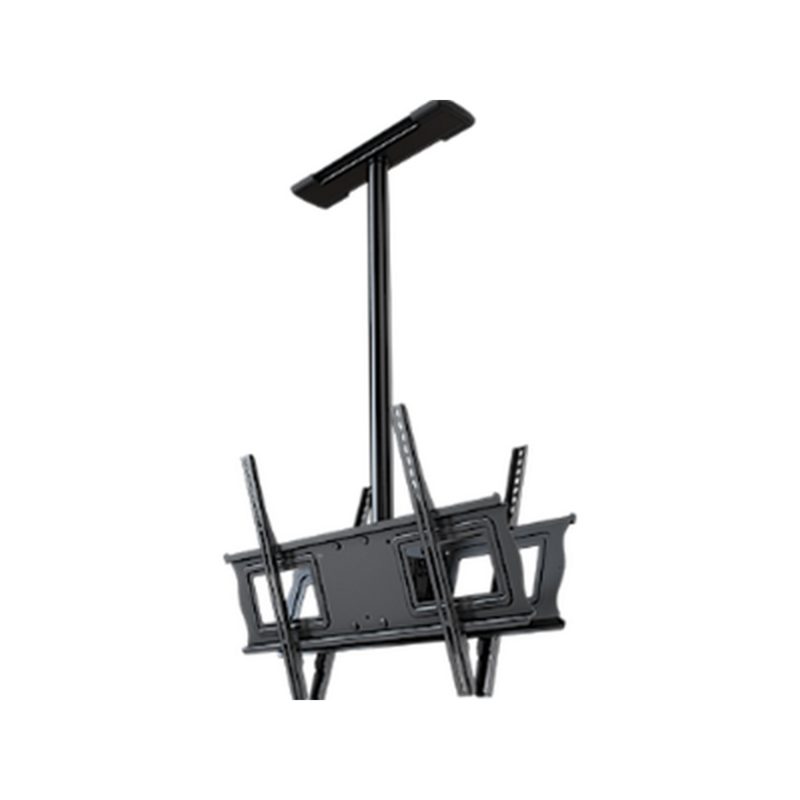 Can be used as retrofit on existing columns or combine with Crimson E-series fixed extensions or EA-series adjustable extensions and CA ceiling adapters to complete the solution. 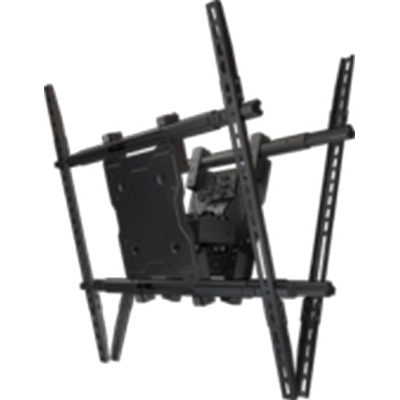 Continuous tilt of 20° forward with 360° rotation. 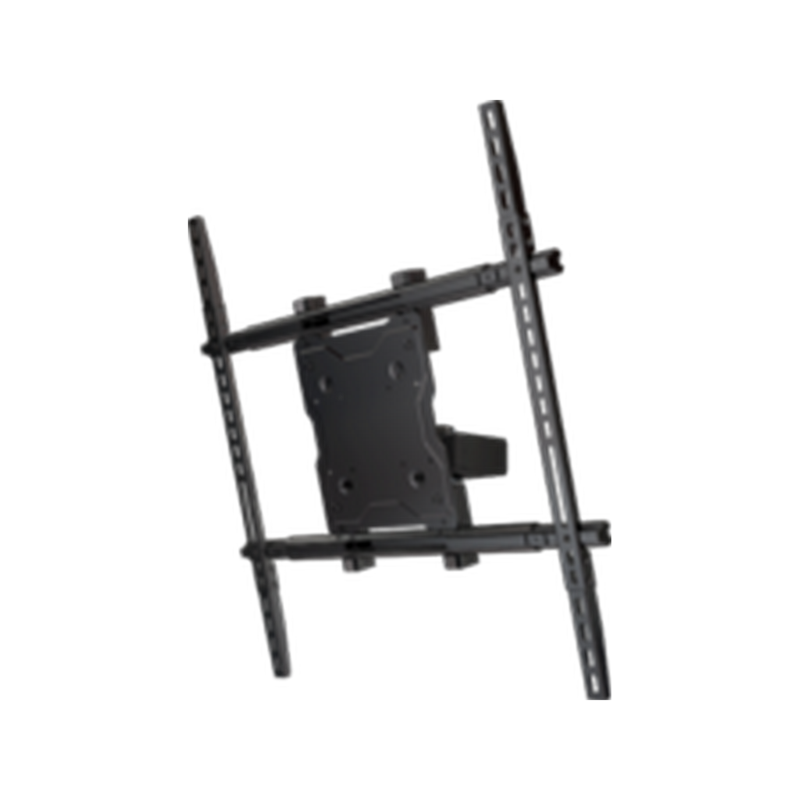 Makes a secure screen installation quick and easy, simply hang the screen and turn the pre-assembled securing screw to lock the VESA adapter in place. Compatible with all 1.5" NPT threaded pipe. 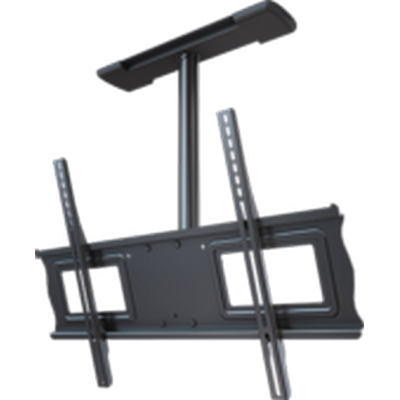 Includes VESA screen adapter, 2'-3' adjustable extension column (EA23) and structural ceiling adapter (CA1C) for mounting on a single joist. Continuous tilt of 20° forward, 360° rotation. 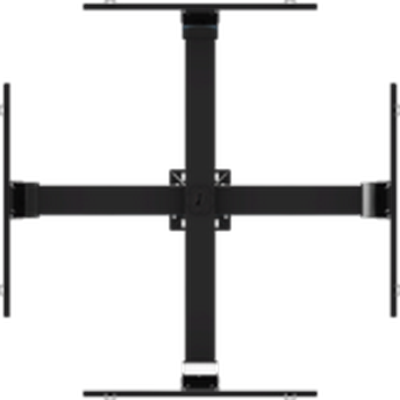 Incremental drop lengths provide perfect screen positioning.